If you following information technology you’ve probably heard the term Software-defined Networking in conversation, and the explanations of what it is are often lacking. Throughout the history of networking we’ve managed routing and switching by logging into the routers and switches themselves, issuing commands, and getting our desired outcomes. This doesn’t scale, since large organizations have hundreds, thousands, or tens of thousands of pieces of networking gear. 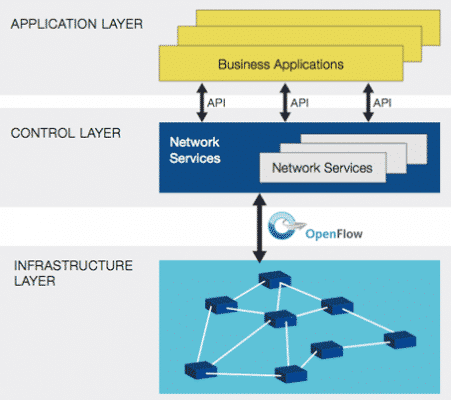 Software-defined Networking addresses this by abstracting the control of networking (the control plane) from the execution of networking (the data plane). In short, networking hardware is joined into a software fabric, we issue commands to the centralized software, and the software then makes the config changes to direct traffic accordingly.